The Moon, the Machine and Mars are the three themes this illustrator most enjoys. Included here are some examples from his books The Martian Crystal Egg and The Book of Foolish Machinery. There are also unpublished pieces from ongoing personal projects. 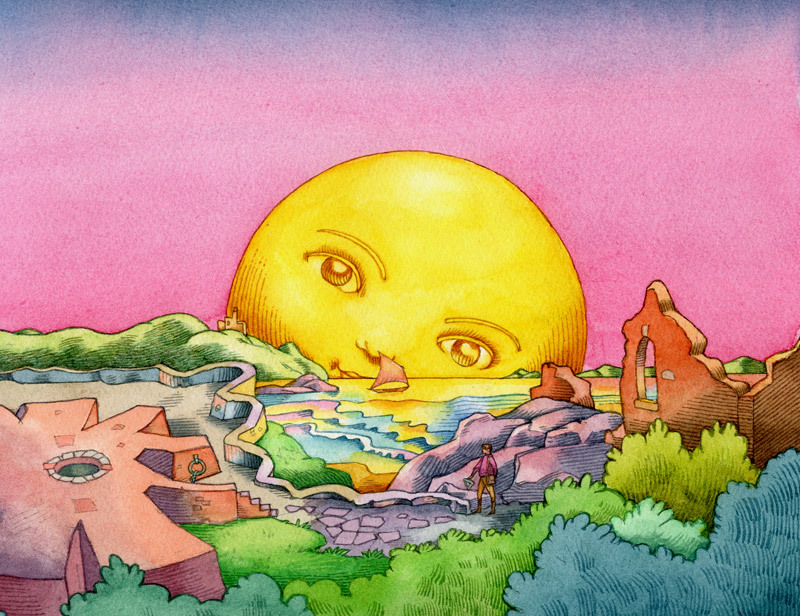 Fredric Winkowski's art has been published in many places, but mostly in children’s books. As both photographer and author, he has created several non-fiction books dealing with early cars, trains and planes. At the moment he is working on several new book projects. Examples can be seen at winkowskiphoto.com. ﻿TO SEE MORE﻿…Select from options on left. The blog contains recent additions, comments, and photography.